Daily Net Pay Review: Can You Cash In Daily With This Opportunity? For this Daily Net Pay Review, I want to share my experience of how I first came across this opportunity and then go into the Daily Net Pay Review itself. When I first came across Daily Net Pay it was because I was searching on backpage in their Biz Opp section in Orlando, Florida. The ad I came across claimed that you could make money online with Daily Net Pay without doing much work on your part. So naturally I knew I had to look into it to see how legit it really was. What did I find out? Let’s dive into my honest daily net pay review to find out! Upon further examination of Daily Net Pay is actually a portal for online advertising services for your affiliate products and programs. It claims to be the most advanced and highly responsive advertising platform that is used by thousands of online business owners. This program works by offering you an “effective” way to promote your offer to hundreds or thousands of visitors. 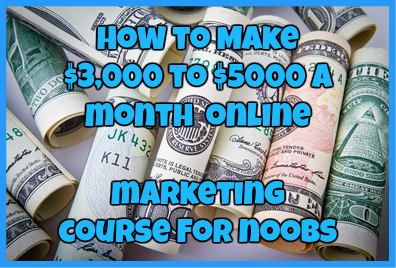 This program is primarily targeted to online business owners that are looking to gain more traffic and sales by using an advertising platform. It is targeted to anybody from a newbie business owner to a more experience online business owner. The price for Daily Net pay varies greatly. Below are the listed prices of Daily Net pay and what each price offers in regards to advertising. Advertises your offer to 5,000 prospects over a 15 day period. Advertises your offer to 50,000 prospects over a 30 day period. Advertises your offer to 750,000 prospects over a 60 day period. Advertises your offer to 2,000,000 prospects over a 90 day period, includes a 3 month social media submission of your offer and submission of your offer to 140 different search engines. When it comes to actual customer reviews for Daily Net Pay, I found a ton of different mixed reviews about it. Some people loved it while others hated it and thought it was a scam. Just take a look below at what some people are saying about this opportunity. In my honest opinion, I cannot recommend this program in good faith. 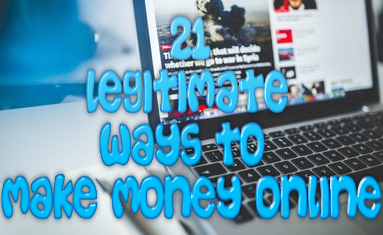 While the owner of this site claims that the traffic comes from re-direct and blog rotators, there is actually no proof out there that the traffic is of high quality or that it converts at all (trust me I looked). The price itself for each ad pack is very low for the number of visitors you are guaranteed and what that tells me from experience is that the traffic is of the lowest quality and will not convert. With that said this is no a program that I can recommend to any online business owner. Have your tried Daily Net Pay? If so, what was your experience like? Regardless, I would love to hear from you! Drop me a detailed comment below! ← FreeAdsSell.info Review: Can You Make Money Posting Ads?